Bromsgrove Festival celebrates the past and gives a platform to the next generation of musicians, writes Mary White. The 48th Bromsgrove Festival and the 28th Bromsgrove Festival Young Musicians Platform commences on April 26. As ever, the Festival programme is devised to have wide appeal for varied musical interests, bringing distinguished artists to Bromsgrove. The opening orchestral concert on April 26 features the brilliant, attractive Alison Balsom, a former finalist in the BBC Young Musician of the Year competition in 1998 and now one of our leading trumpet soloists. The second orchestral concert on Sunday May 10 celebrates the composer Vaughan Williams, 2008 being the 50th anniversary of his death. The programme includes The Lark Ascending with James Clark as soloist and The Sea Symphony with soloists Roderick Williams, Naomi Harvey and the conductor Dr Donald Hunt with the English Symphony Orchestra and the Elgar Chorale. Vaughan Williams arranged music for a number of well-known films and, therefore, showing at the Artrix is Scott of the Antarctic and, importantly, a new biographical film of the composer which includes many interesting interviews. The Young Musicians Platform attracts a high standard of entrants. The age range is 17–25 and up to 27 for singers. The final exciting concert is on Sunday May 4 when the number of competitors has been reduced to three. Audiences for the early rounds on May 1, 2 and 3 are encouraged and entrance for these is free. 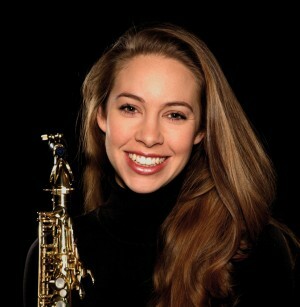 Three of our former talented finalists are returning to us – Amy Dickson (pictured), the winner in 2002, has gone on to forge a successful international career as a saxophonist and now leads the Zephirus Quartet. She is appearing on April 29. Alexander Sitkovetsky, born in Russia in 1983, Bromsgrove’s winner in 2006, must have impressed the late Lord Menuhin at an early age as the latter died in 1998 and Sitkovetsky played the Bach Double Violin Concerto with Menuhin in Belgium and France. In our final concert Alexander is playing the Bach Double Violin Concerto and the Malcolm Arnold Concerto with Fanny Clamagirand. She was a finalist in 2007 and first played in public in Paris age nine. On May 6 the Caird Oboe Quartet gives a concert in Grafton Manor Chapel. The gardens at Grafton are open for an hour before the concert. Chris Barber and his Big Band are at the Artrix on May 9, and before then on May 3 there is an interesting programme called Now Comes the Dragon’s Hour. This is a specially devised programme with the Grand Union band to include leading Chinese musicians. The programme will feature Chinese music in an original form evoking a “Journey along the Great Silk Road”, bringing Chinese music to Bromsgrove in the year of the Beijing Olympics. It seems appropriate to feature Chinese music at this time as Bromsgrove Festival had Ravi Shankar playing Indian music at the very beginning of his career.